Welcome to our store – all of our bushcraft courses in one place! Scroll down to see all of our bushcraft courses. Click on a course to get more information. Drag and drop a course into the shopping bag to buy. Alternatively, view the complete course details by selecting from the main ‘Bushcraft Courses’ menu above. 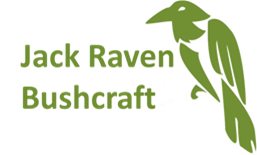 If you have any questions, get in touch by email info@jackravenbushcraft.co.uk or phone on 07553 763397. Our courses take place in Westwell, Kent. We are based in a private ancient woodland within an Area of Outstanding Natural Beauty. We have an expedition style camp in place with a composting toilet, a yurt complete with wood burning stove, a covered kitchen area and workbenches. We limit the number of students on a course to 8 as this means that each and every attendee gets the attention they deserve and it ensures that we can preserve and enhance the beautiful woodland in which we work.